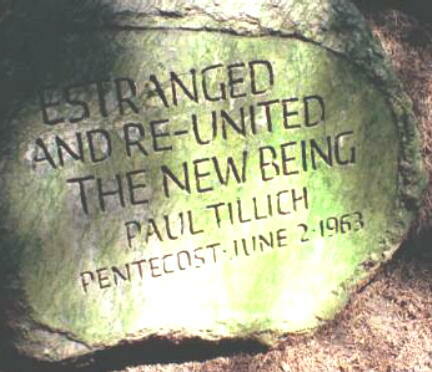 Paul Tillich Park commemorates the renowned 20th century theologian, Paul Johannes Tillich. 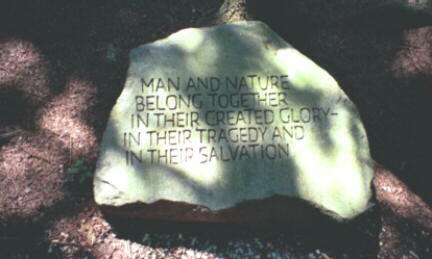 The park was dedicated on June 2, 1963, and Tillich's ashes were interred there in 1965. Located just across North Main Street from the Roofless Church in New Harmony, Indiana, the park consists of a stand of evergreens on elevated ground surrounding a walkway. 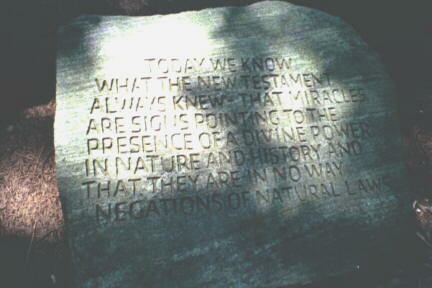 Along the walkway there are several large stones on which are inscribed quotations from Tillich's writings. James Rosati's sculpture of Tillich's head rises at the north end of the walkway, backed by a clearing and a large pond.